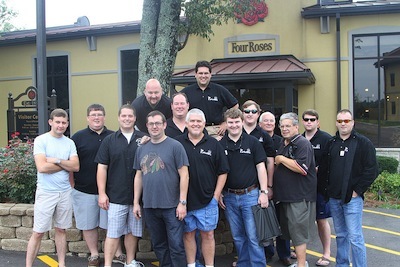 BourbonBlog.com talks with a group of Bourbon enthusiasts with a edgy name. Justin Sloan, a member of The Bourbon Mafia, tells us more about the mafia and shares exclusive photos of the members. They’re armed with Bourbon, and that may be as dangerous as they need to get for the moment. 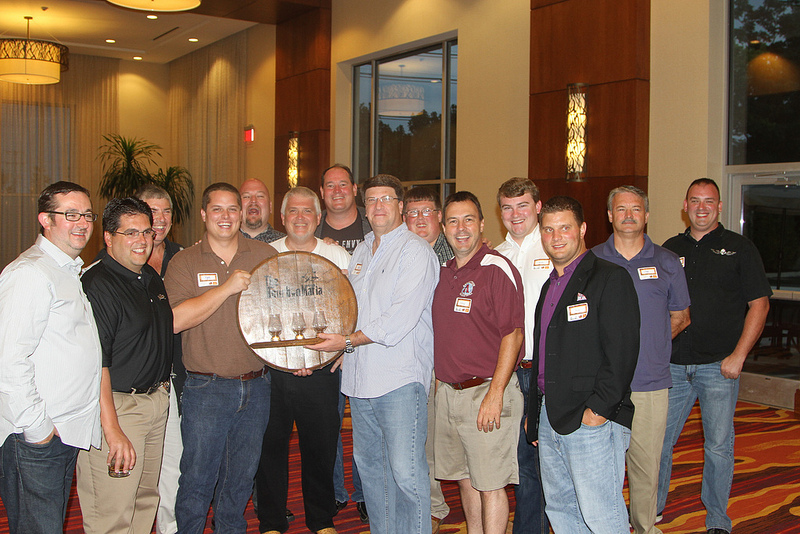 As BourbonBlog.com host whiskey tastings across the country, we continue to be impressed by Bourbon societies and groups uniting around whiskey and honorable goals. “We want people to know that The Bourbon Mafia strives to be highly visible part of the bourbon community including charitable donations through its members and treasury,” says Sloan. BourbonBlog.com: Who is The Bourbon Mafia? Sloan: The Bourbon Mafia group is made up of individuals from different walks of life that have one thing in common: The love of bourbon. We started around the Angel’s Envy event. Eddie Noel got the ball rolling with that event for the Bourbon Lovers group on Facebook. Some of us said we need to have a group/club to host these events and share bourbon. Before we knew it ,the logo was made (shown above) and we had our core group of 12 founding members. Most of us were friends before this through various Facebook groups about bourbon. The group was established for the aficionados who want to deepen their understanding and appreciate bourbon’s culture, history and diversity. All this comes about through our distiller dinners, open discussions, lectures and tastings. Some of our goals will be to recognize the history and all the mastery specifics of bourbon making. Most of all we plan to have fun with the many different types of bourbon while exploring. First, you have to be nominated by a member. Once you have been nominated, you must then complete a self-assessment with your history/story with bourbon. This assures your love of Bourbon is as much as all of ours! Once you complete that you must get voted in by the majority of the members. We do not as of now but that is a great idea, that would make it tough for some of our light weight members (you know who you are!) The review is a really good idea; I will make a note on that to share with the family! Where have you been and where do you hope to travel next? As a group, we did a multiple distillery tour over the span of 2 days. 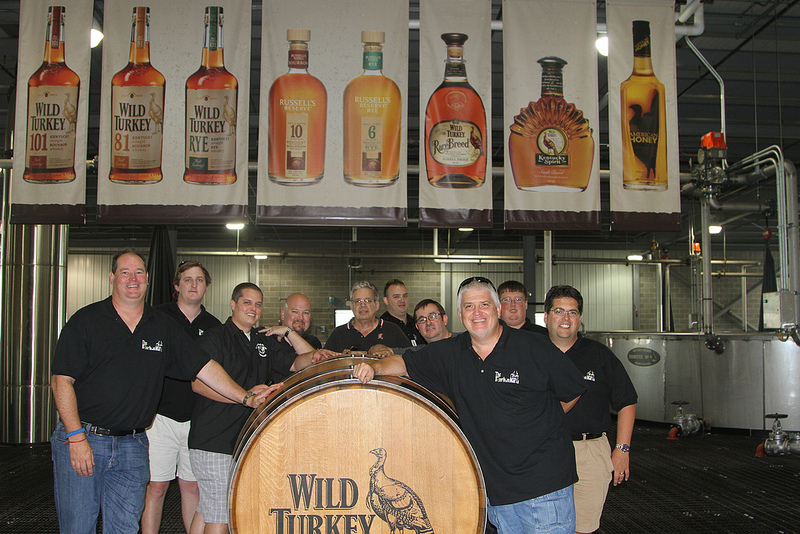 We visited Willet, Four Roses, Wild Turkey, Buffalo Trace and even got a sneak peak of the new Angel’s Envy property. The weekend ended with a great dinner and tasting with Angel’s Envy, where we all got to try this years Cask Strength. Lincoln, Wesley, and Kyle Henderson were absolutely great. With Lincoln’s passing we all cherished the opportunity to meet and spend time with that family. They are a great family doing wonderful things over at Angel’s Envy. As far as what’s next we have a scheduled Maker’s Mark event for spring this coming year. We have been in contact with a few other distilleries and companies about other events similar to the Angel’s Envy dinner.